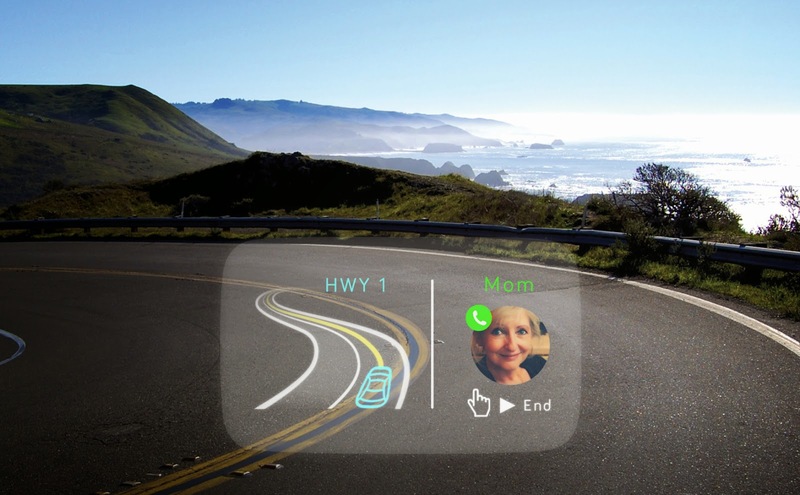 There is a futuristic looking product that will go on sale in 2015 that aims at making you feel like an airline pilot while driving your car. Well, maybe not quite a pilot. 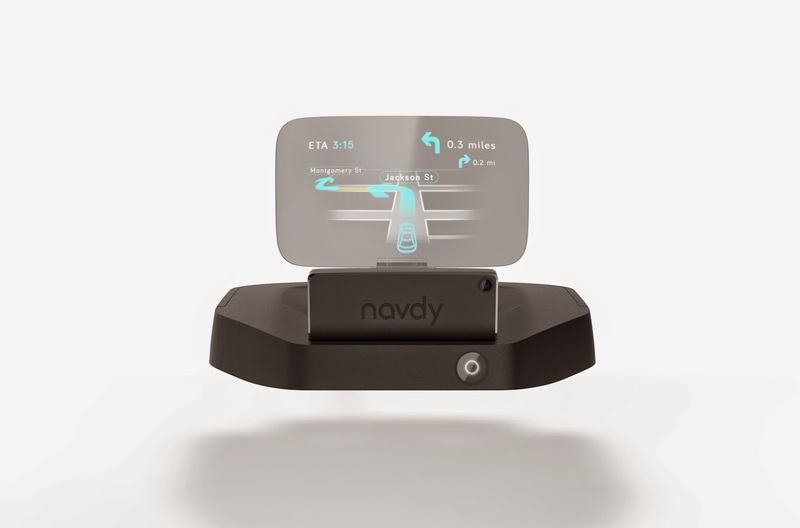 Meet Navdy, a head-up display device that connects to any iPhone or Android phone and puts an airplane-like display in your field of vision. The device uses voice commands and gestures to control what you see on the display. Notifications from most apps can be displayed on Navdy, addressed, or even dismissed. The main function of the device is to display navigation information. But other services like playing music or receiving OBD-II information can also be displayed. Technical Specifications: The display is a 5.1-inch wide transparent head-up display (HUD). It features an infrared camera for gesture control as well as an accelerometer, e-compass and ambient light sensor. Other tech specs include Bluetooth and Wi-Fi connectivity, audio out, mini USB port, internal speaker and microphone. The device has a dual core processor running Android 4.4. 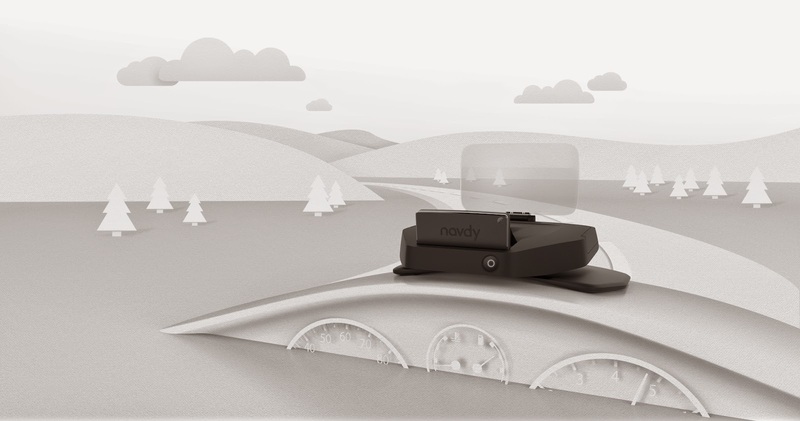 Navdy has to be placed in your field of vision while driving. 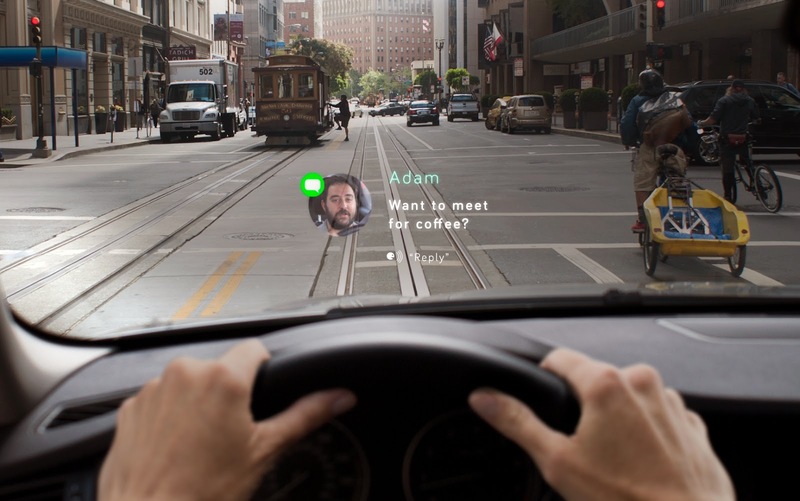 The head-up display is designed to make the images displayed on it appear at a distance which means your eyes stay on the road at all times and your phone remains in your pocket. Navdy is in the works for an early 2015 release but you can pre-order the device right now for $299. When it goes on sale, the device will reportedly cost $499. The 40% pre-order discount is only available for another two weeks or so. To pre-order and to see full details, visit the Navdy website.